The government has confirmed the route for a new Lower Thames Crossing to alleviate congestion at Dartford and add extra capacity in the face of projected traffic growth. 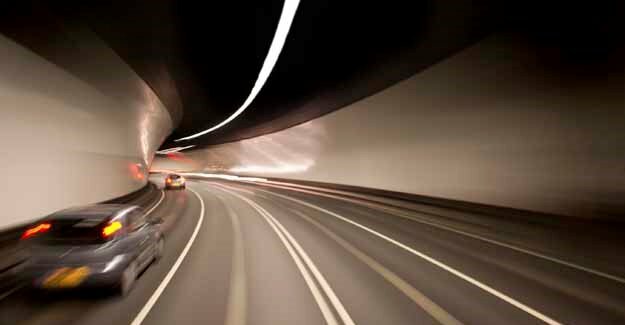 The twin-tunnel scheme will create a new link between the M25 near South Ockendon in Essex and the A2 in Kent, close to where the road becomes the M2. The first tunnel at the existing site was opened in 1963 and was supplemented by a second tunnel in 1980 and the QEII bridge in 1991. In 2014 the toll-booths were removed and free-flow charging was introduced. Despite all of this, delays are routine and the crossing is partially or fully closed more than 300 times a year. According to the consultation document for the Lower Thames Crossing fifty million vehicles use the crossing each year, a quarter of which are vans and lorries. The crossing is regularly operating at or above its design capacity of 135,000 vehicles per day. Expansion at the Channel ports is one of the reasons why traffic is on the rise. “Whilst it is motorists who account for the majority of the journeys at the Dartford Crossing, the need for this link across the Thames is being driven in large part by the rapid rise in freight traffic and the expansion of the Channel ports. “The requirement for extra road capacity between Kent and Essex will already be well understood by long-suffering users of the existing crossing. However, planners will also have had an eye on official figures which predict that traffic volumes on our motorways and major roads could increase by 60% by 2040.